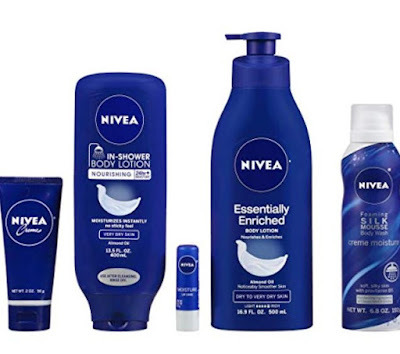 Hurry over to get this NIVEA Luxury Collection 5 Piece Gift Set for $15 shipped when you clip the 40% off digital coupon on the product page (Retail $25). This gift set has NIVEA Essentially Enriched Body Lotion, NIVEA Nourishing In-Shower Body Lotion, NIVEA Creme, NIVEA Foaming Silk Mousse Body Wash, and NIVEA Moisture Lip Care, all packaged in a Travel Toiletry Bag. Shipping is free, prices can change at anytime.